This is the lateral thinking puzzle question. When you will read this lateral thinking question statement, then you may think that something is not correct in this question. 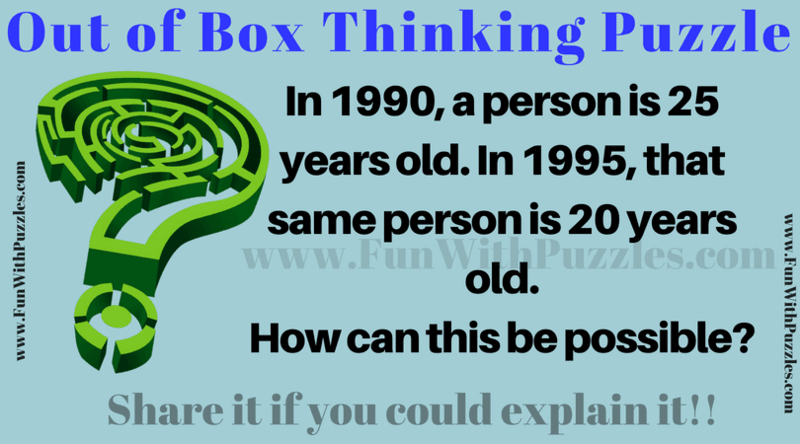 However if you think out of box, then you will be able to find the logically correct answer for the lateral thinking question. 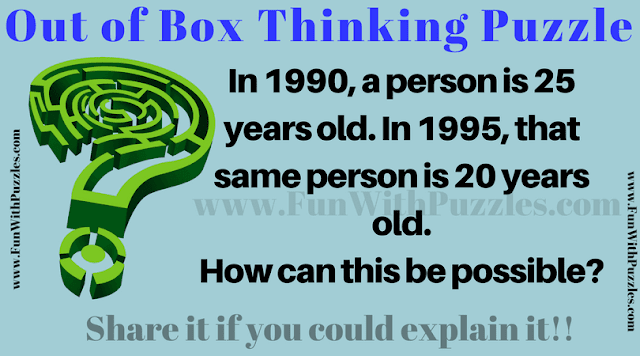 So can you think out of box and solve this puzzle? Can you solve this lateral thinking puzzle? Answer of this "Question on Lateral Thinking", can be viewed by clicking on button. Please do give your best try before looking at the answer. The person was born in 2015 B.C. Hence we count backward.